This view of The Hague depicts a well-known street called ‘The Lange Poten’, located in the centre of The Hague. The history of this specific street goes back to 1392, when it appears in the city annals for the first time, named ‘Potenstraet’. The name ‘poten’ refers to the original appearance of the street. Willows were planted on both sides of what was a sand path in the beginning. The Dutch word for ‘planted’, poten, was the reason for naming the street the ‘Potenstraet’. Nowadays it is a vivid shopping area. The center building with red bricks is the renowned Hotel Central, which was built in 1887 in a Neo-Renaissance style. It had an impressive passage and was probably the most fancy hotel in the city. However, when the Jugendstil and Art Deco style came into fashion around 1915, the building was torn down and rebuilt. Later on, the hotel moved to the Spui, where it is nowadays located as the Mercure Hotel. 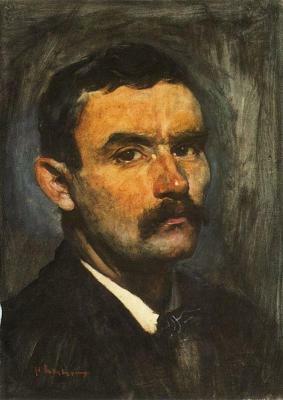 Arntzenius depicted the scene in a loose style. People are promenading along the tram track and horse carriages drive along the street. The white highlights on the pavement give the scenery an atmosphere as if a light shower has just stopped. 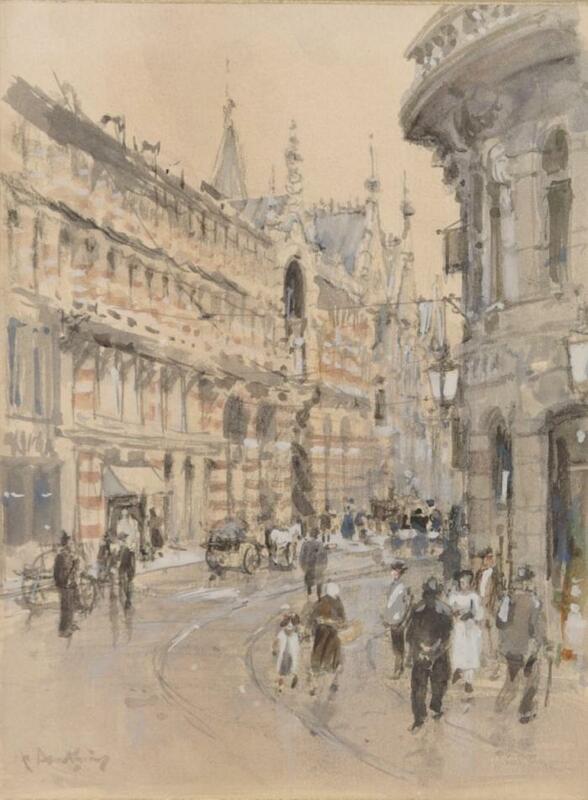 The watercolour is not dated by the artist, but can be placed in Arntzenius’ oeuvre between circa 1892-1915.